For Sale or Trade. The ultimate in convenience! Great location with parking. Walk to courthouses, Rupp Arena, Triangle Park, Thoroughbred Park, KY Theatre, Library, restaurants, bars, UK or anywhere downtown. The Nunn Building was originally constructed in 1917 for the Lexington Herald. 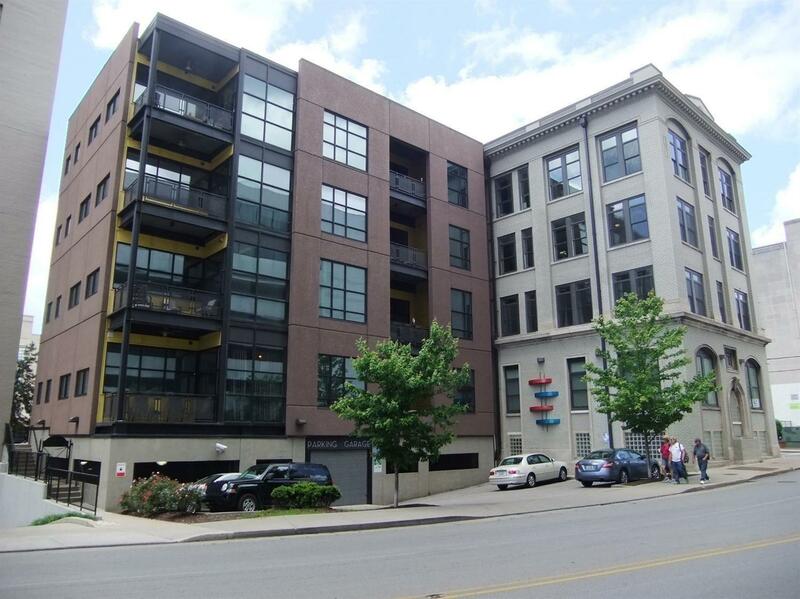 A new addition was completed in 2007 and the original structure was remodeled, creating 26 residential lofts condos. Enjoy high end finishes like granite & newly refinished hardwood floors. New paint throughout the condo, and new bedroom carpet. An open floor plan, abundant daylight, high ceilings, and exposed ductwork & sprinklers create a very chic look. Comes with washer and dryer, plus all kitchen appliances. On nice days, enjoy mingling on the private patio with tables, seating, and a community grill for residents. Per owners, the HOA fee includes water, sewer, trash & snow removal, 1 parking place, building maintenance, professional management, common area insurance & exterior building insurance.